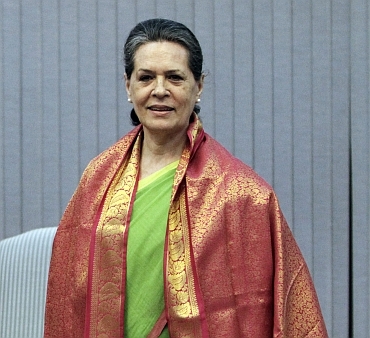 Congress president Sonia Gandhi on Friday made a strong pitch for economic reforms saying that to be "pragmatic" in encouraging investment was the only way to achieve the country's employment goals. Stating that there were "various protest movement across the country relating to land, forest, water and livelihood, tribal and gender issues", she asked the party to proactively take up these causes. Gandhi said that the Congress-led UPA government under the leadership of Prime Minister Manmohan Singh since 2004 has introduced 'truly' revolutionary programmes and enacted historic legislation flowing from the party's manifesto. Highlighting that "the lack of employment thwarts aspirations and fuel frustration, crime and violence", Gandhi said that the country needs to pay attention to skilled employment. "The country has to pay far greater attention to skilled employment especially in semi-urban and urban areas. "This requires us to be pragmatic in encouraging investment which is the only way the country's employment goals could be achieved," she said in her opening remarks at the party's Chintan Shivir. Gandhi's remarks came in the backdrop of controversy over FDI in retail which concluded with government getting the approval of parliament on the issue with the Lok Sabha and the Rajya Sabha defeating opposition sponsored motions in the matter. In her address, Gandhi noted that MGNREGA has demonstrated its utility in rural areas. The UPA chairperson also laid stress upon poverty alleviation programmes. "Economic growth over the past decade has been impressive. "This had a major impact on reducing poverty but our fight against inequality and poverty is a continuing one. "This is why it is important to sustain our poverty alleviation programmes," she said. She said that despite expanding development, there are still parts of the country which remain backward and said that the party must remain in the forefront in calling for urgent remedial actions. She regretted that in some states the party has not been able to translate this into political support and hoped that discussions and concrete suggestions will emerge during the shivir. Column: Will NRIs take away top jobs in India?